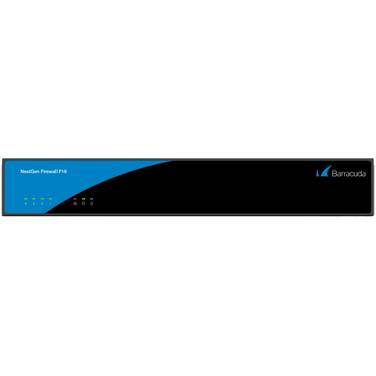 The Barracuda NextGen Firewall F-Series is designed and built from the ground up to provide comprehensive, next generation firewall protection. Firewall, IPS, URL filtering, dual anti-virus and application control take place directly in the data path. Includes: Barracuda NextGen Firewall F18 / Barracuda NextGen Firewall F18 5 Year EU+IR / Barracuda NextGen Firewall F18 5 Year Advanced Threat and Malware Protection Bundle ONLY WHILE STOCKS LAST!